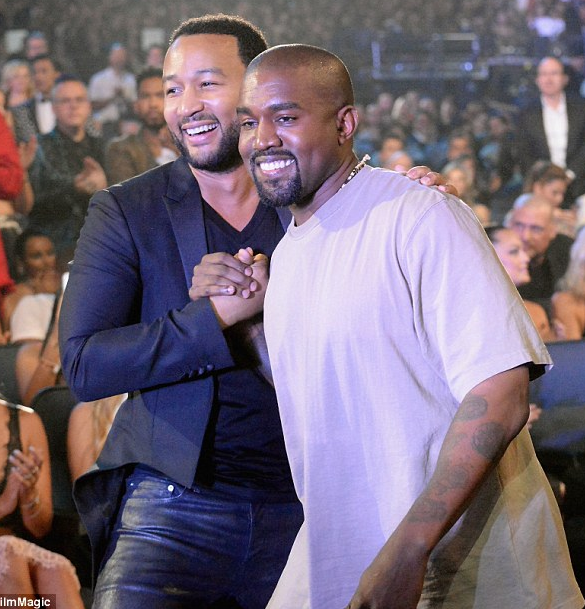 Kanye West has shared a personal text message between him and his friend John Legend and in it, he accused Legend of "manipulating my free thought". Kanye shared the private chats on Twitter. In the message, Legend asked Kanye to reconsider his stance on aligning himself with Donald Trump because he has fans relying on him and they might be disappointed. But Kanye disagreed then accused him of trying to manipulate his free thought. Hey it's JL. I hope you'll reconsider aligning yourself with Trump. You're way too powerful and influential to endorse who he is and what he stands for. As you know, what you say really means something to your fans. They are loyal to you and respect your opinion. So many people who love you feel so betrayed right now because they know the harm that Trump's policies cause, especially to people of color. Don't let this be part of your legacy. You're the greatest artist of our generation. Think freely. Think with empathy and context too. Your words and actions have consequences. Much love. If you feel something don't let peer pressure manipulate you. Everyone keeps asking me to comment on s***. Comment on psycho Tami Lasagna, whom I refuse to give the joy to, say something about RHOA, speak up about kanye. When it comes to people we know, we DO speak up. To THEM. not on Twitter. And sometimes, I guess it makes it to Twitter. Is West the American Deng?